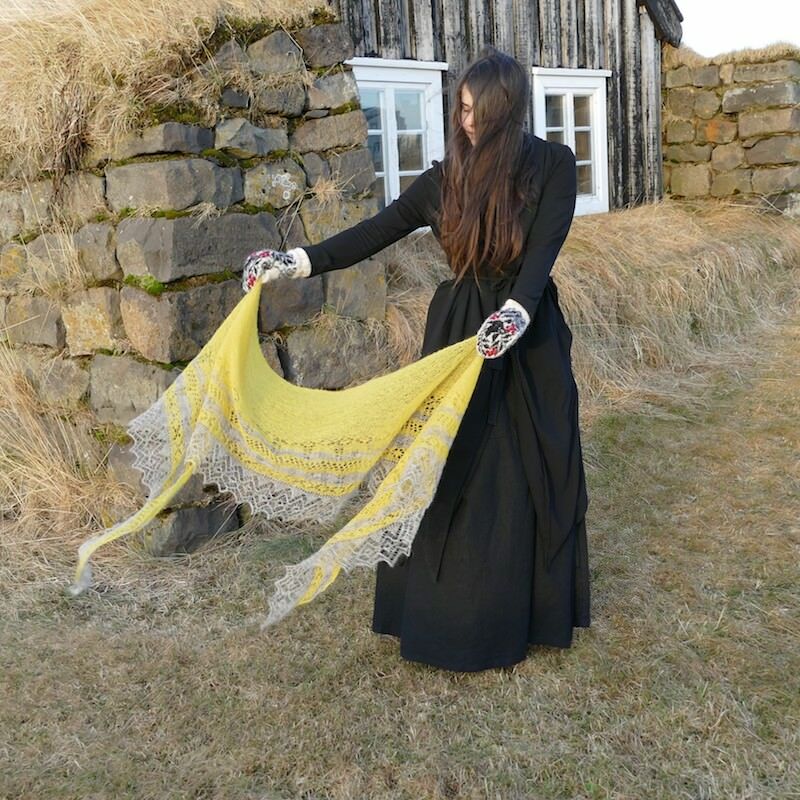 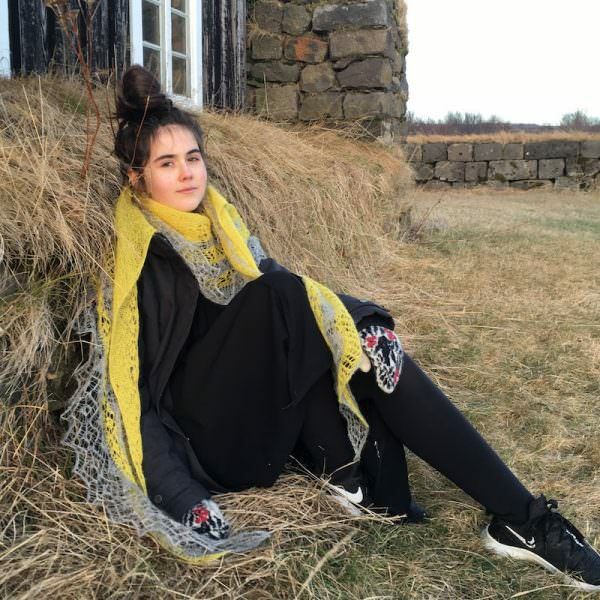 Thórhildur is an Icelandic shawl mixing tradition and modernity, knitted with my beautiful Love Story a true Icelandic lace yarn of unparalleled softness and fineness. 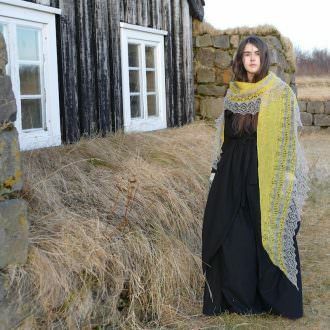 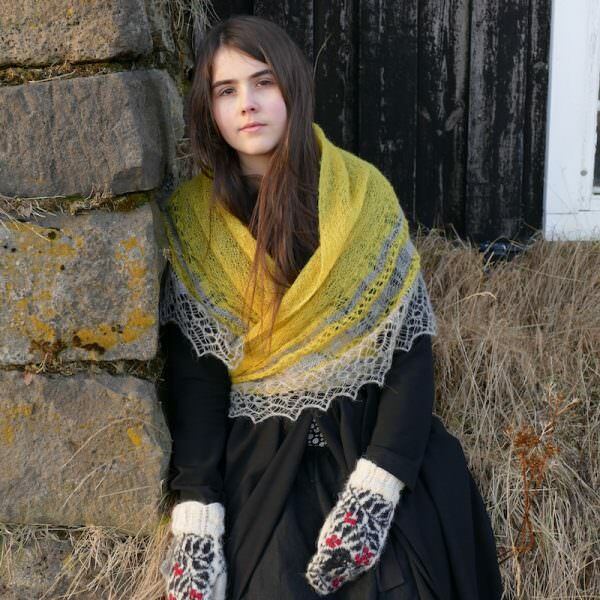 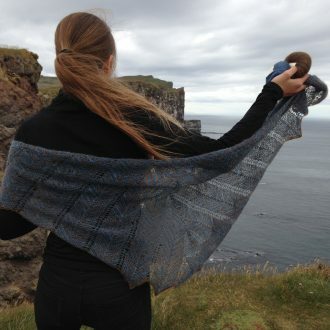 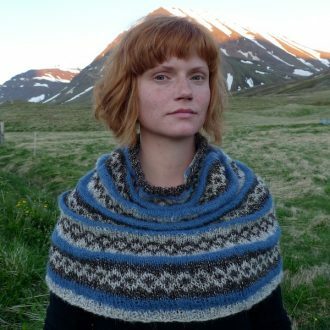 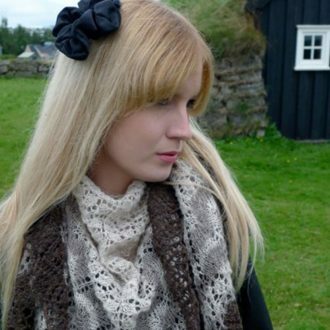 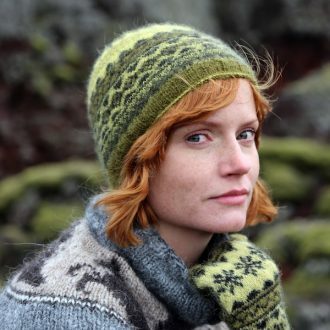 It is knitted from the top down, as was common for traditional triangular shawls from the Westfjords of Iceland. 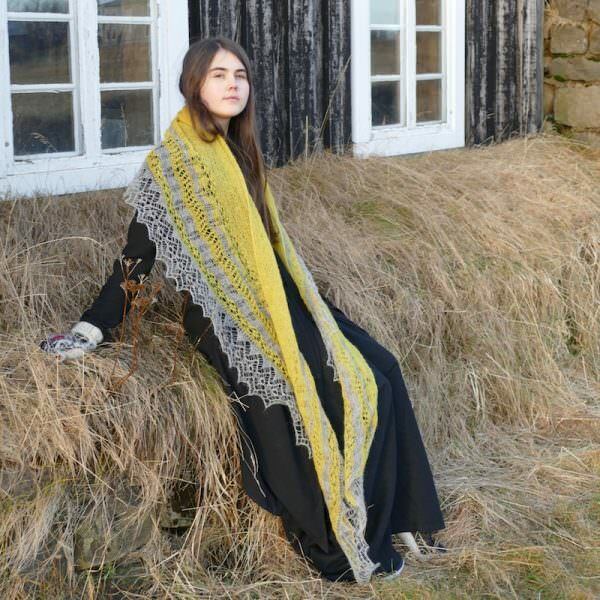 It has however a more modern elongated crescent shape. 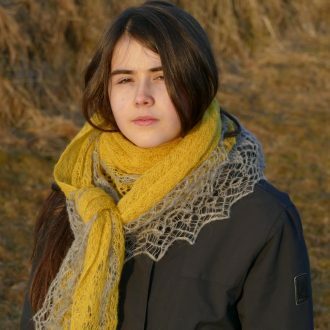 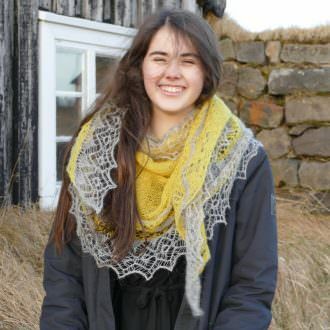 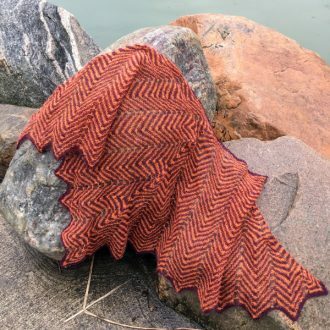 It starts with a garter stitch body then features traditional elements of Icelandic lace shawls such as a spider lace motif with bands of eyelets rows and undulating motifs. 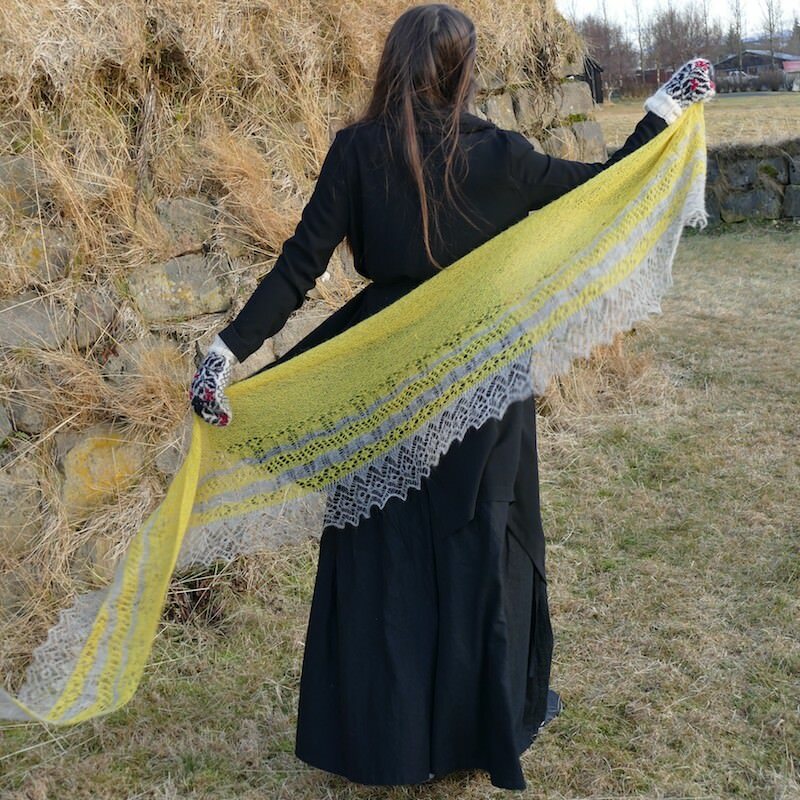 The intricate lacy border with opened diamonds is true lace (lace in every row) and is worked sideways. If you choose “Colors of you choice”, please indicate them in the notes at the checkout or send us an email. Both the opened diamond and spider lace can be found in one of the first books on women’s handiwork and housework to be published in Icelandic, Leiðavísir til að nema ýmsar kvennlegar hannyrðir by Þóra Pjetursdóttir, Jarðþr. Jónsdóttir and Þóra Jónsdóttir. The book had a great influence on the development of Icelandic lace knitting. 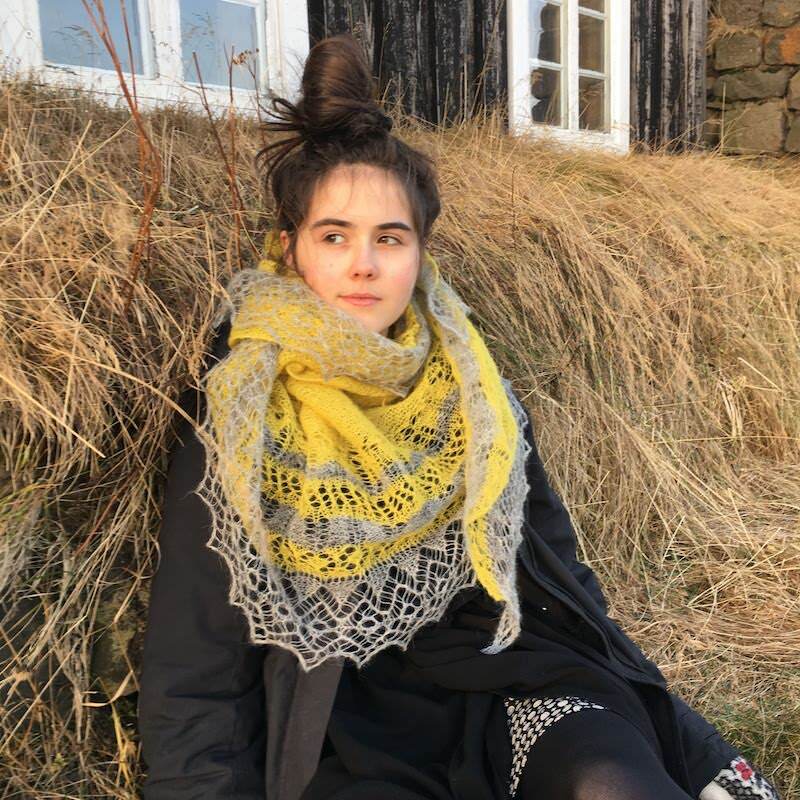 Published in Reykjavík in 1886, it is a compilation of patterns that were recreated by the authors, for the most part from Danish leaflets. It is probable however that some of the lace motifs themselves originate from the Shetland Islands. 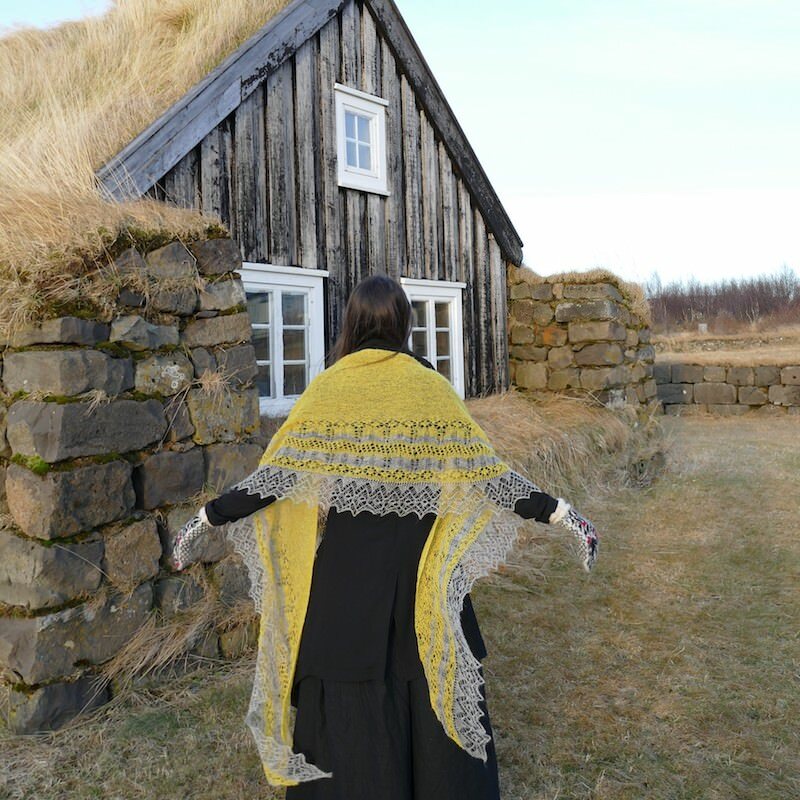 The yarn used to knit the shawl is my own Love Story Einband, a unique true Icelandic lace weight yarn that I created in the hope that it would help revive the Icelandic knitting lace tradition and give it a new life. 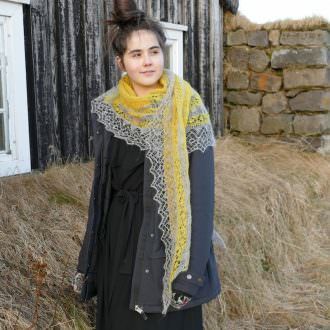 It is spun from fleeces I hand-select and grade one by one after the first shearing of the Icelandic lambs. 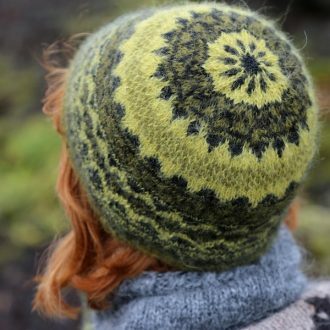 The fleeces are spun in specialty mills in Italy which can handle the unique challenges posed by Icelandic wool: composed of two very different types or hair, the long and coarse “tog” and the fine and short “þel”, it is very difficult to spin into a fine yarn. 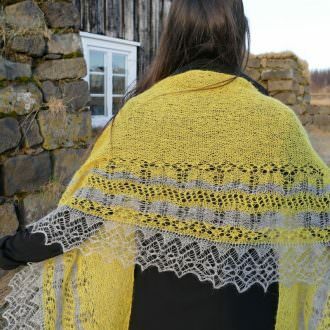 The carefully crafted result is an Icelandic lambswool yarn of unparalleled softness and fineness, especially suited for delicate, ethereal lace shawls and is reminiscent of the old handspun yarns that define traditional Icelandic lace. The Love Story yarn got an Award of Excellence from the Icelandic Lamb Board in 2017. 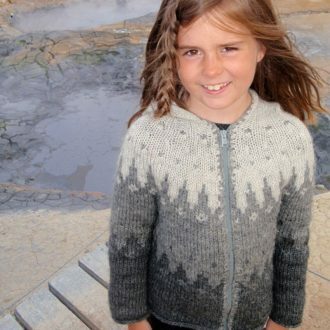 The pattern is available in Danish, Icelandic, English, French, German, Swedish and Faroese. Gauge: 25 sts and 35 rows = 10 cm / 4” in garter st after blocking. 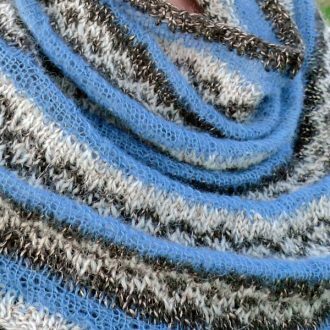 Gauge is not crucial but will affect the yardage needed. 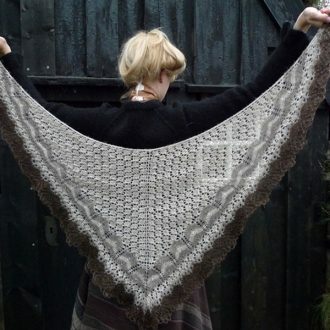 Techniques: garter stitch, lace, true lace (in every row).